Some of the first signs of aging show up around the eyes and upper portion of the face, and you may have considered getting Botox or other injectables to take care of those lines and wrinkles. If you have deeper lines and wrinkles in this area, or you’ve noticed your brows are starting to droop, you may be a better candidate for brow lift surgery. A brow lift can effectively lift and tighten the skin to create a fresh-faced appearance. It can address several problems in the upper portion of the face and the rejuvenating lift can take a few years off your appearance. Am I Really Ready for Brow Lift Surgery Maryland? If you are concerned about hooding around the eyes or droopy lids, you may also benefit from eyelid surgery. We can perform eyelid surgery in conjunction with a brow lift for even better results. Now is a great time to book your brow lift procedure, because you can recover within a few weeks and show off your new look for the new year. Dr. Will uses the endoscopic brow lift technique that involves making fewer and smaller incisions than the traditional procedure and a faster recovery time. The surgery is performed under general anesthesia and only requires making about four or five incisions behind the hairline. Dr. Will can tighten, lift, and reshape the forehead tissues to create a much more youthful appearance. Most patients get through the initial recovery period within about two weeks and will have bruising and swelling greatly subside within four weeks. If you want to start the new year with a new look, consider booking a brow lift procedure before the year’s end. 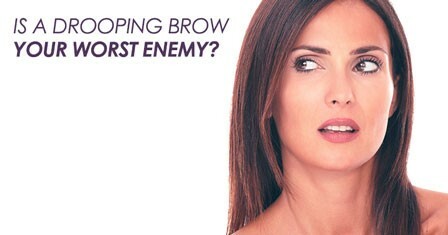 Schedule your brow lift consultation with Dr. Will today!